Looking For Professional Services Window Supplier? Beverley Hills Home Improvements is London Ontario’s source for replacement windows, exterior doors, and vinyl siding. With locations across Southern Ontario, Beverley Hills Home Improvements offers: Vinyl Replacement Windows, Wood Windows, Canadian-made Exterior and Patio Doors, and Vinyl Siding. All of Beverley Hills Home Improvements products are beautiful, durable, and energy efficient. 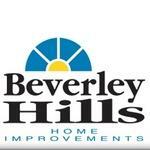 Products Carried: Beverley Hills Home Improvements is Southwestern Ontario’s first choice for exterior home improvements. With multiple locations, including London, Beverley Hills Home Improvements offers: Exterior and Patio Doors, Wood Windows, Vinyl Siding, and Vinyl Replacement Windows. Beverley Hills Home Improvements products are Canadian made, respected brands, approved by the Canadian Standards Association.